The Rocky Mountain ADA Center serves Colorado, Montana, North Dakota, South Dakota, Wyoming and Utah. 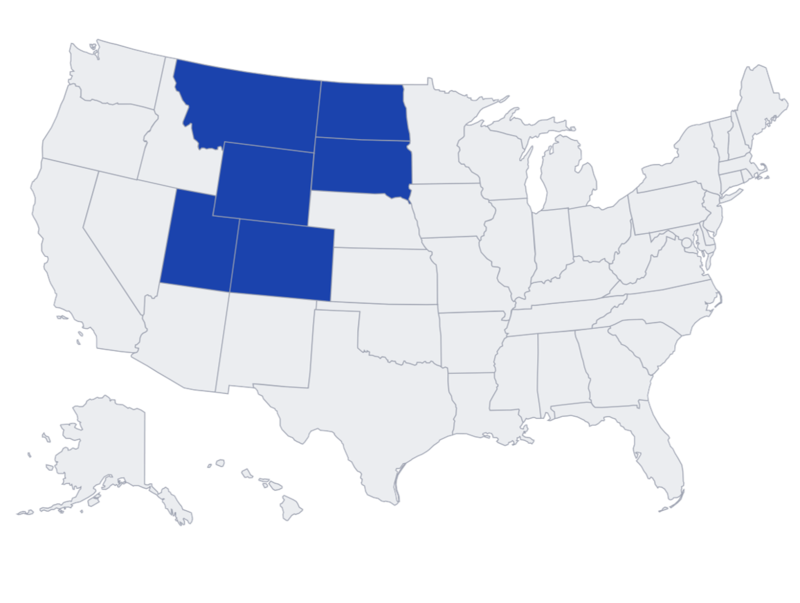 The Rocky Mountain ADA Center (RMADAC) provides information, guidance, and training on the Americans with Disability Act (ADA) tailored to meet the needs of individuals and organizations in Colorado, Montana, North Dakota, South Dakota, Wyoming and Utah. Our Vision: To bring the ADA to full implementation. Answers to Questions - The ADA Center staffs a toll-free phone line, weekdays from 9 am - 4 pm MT. The Center's information specialists can answer most questions you have about the ADA immediately and will research more complex questions if necessary. Questions can also be submitted at www.RockyMountainADA.org. Training - The ADA Center offers basic to advanced level seminars and workshops on the ADA and other related disability laws. All sessions can be tailored to the time constraints and needs of your group. In addition, the ADA Center offers several on line course that can be completed as your schedule allows. Materials - The ADA Center stocks a selection of current information on the ADA. Many materials are free, while others are available for a nominal fee. Referral to Experts - If your question involves additional information or services, the ADA Center maintains a list of experts in many disability-related fields located both regionally and nationally. Research - The ADA Center conducts ongoing research focused on ADA implementation in our region. The research program is designed to enhance our services and make disability research practical and applicable to all. Park and recreation accessibility assessments. Additionally, the Center is involved with the ADA National Network and its projects. Through all of these efforts, the Center strives to be the go-to regional source for ADA information, guidance and training for all ADA stakeholders. The Rocky Mountain ADA Center (RMADAC) is operated by Meeting the Challenge, Inc (MTC), a small, for-profit accessibility consulting firm located in Colorado Springs, Colorado. Meeting the Challenge, Inc. (MTC) is a national information services consulting firm that serves individuals and organizations with rights and responsibilities for compliance under federal disability laws. MTC has a broad-based knowledge, resources, and an affiliate network to provide clients with solutions to solve their disability law compliance challenges and increase access for people with disabilities. Since its incorporation in 1989, MTC has been committed to equal access for people with disabilities. MTC is a wholly-owned subsidiary of CP&Y, Inc., an innovative and progressive full-service architectural and engineering consulting firm. With a staff of professionals in Texas, Oklahoma, Colorado, Virginia, and Arkansas, CP&Y receives industry recognition by providing a full-range of services. RMADAC is pleased to report that the full circle of technical assistance to implementation to lifetime relationships has been realized many times over. Our largest research project centers around implicit bias and identifying barriers to ADA implementation based on a lack of acceptance of disability by the general public. Through this research, we are examining attitudinal barriers to ADA implementation, as we know that negative biases toward individuals with disabilities are the largest impediment to full inclusion of these individuals. To date, our research has shown that employers report only moderate knowledge of the ADA and have negative attitudes toward Title I. Additional investigation indicates small business employers are less likely to recruit individuals with disabilities, provide reasonable accommodations, and are less familiar with the ADA than larger employers. The goal of our research is to understand implicit bias toward individuals with disabilities and introduce strategies to minimize the impact of implicit bias within the employer population. We have analyzed data collected through the Implicit Association Test (IAT) and Project Implicit to increase insight regarding attitudes towards individuals with disabilities. This training addresses implicit bias on a personal and organizational level and outlines methods to increase awareness of bias in the workplace. Participants will complete the IAT and discuss ways to mitigate implicit bias, leaving with a tangible plan for their or organization. Participants commit to reassessment 3-6 months after the training. Believing that one of the greatest tools for mass information dissemination is the media, RMADAC has spent considerable effort over the past year building relationships with media groups around our region and the country. RMADAC worked with media groups in television, print, radio, web, and social media to reach millions of people across the country and internationally about rights and responsibilities under the ADA and the resources available from the regional ADA Centers. The response from the media has been overwhelmingly supportive, and RMADAC often receives requests for comments and resources on stories related to the ADA. Most recently, RMADAC launched a blog which is both thought-provoking and educational. The Rocky Mountain ADA Center (RMADAC) partners with up to 12 Brand Ambassadors to represent the RMADAC brand, events, and services through providing technical assistance, training, and information on the Americans with Disabilities Act (ADA) to stakeholders within the six-state region. Two representatives from each of the six states are selected to serve as an R8BA for a two-year term.